Stevanovic Family Clinic’s board-certified family physicians stand ready to provide comprehensive care for you and your family. At our clinic, you will find a doctor you can trust and rely on for management of common problems and decision support should an uncommon problem occur. Our Family Medicine physicians will take the time to address your health concerns and answer all of your questions. Try us first. We are here for you. 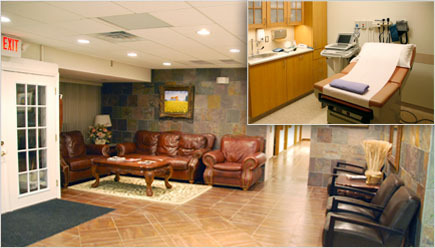 During your visit, you will meet with one of our doctors for a physical exam and discussion of your health. You will also meet with one of our nurses to determine any special requirements you may have. Appointments take approximately one hour. Some appointments may require special diagnostic testing which can add time to your visit. Confidentiality is important to us as well as to you. You can be assured of complete confidential treatment of your medical records at our clinic. We maintain an electronic medical record for each of our patients. This record is initiated when you complete your health history form as a new patient. Our philosophy of health care emphasizes providing “continuity of care” and treating the whole person rather than individual parts or illnesses. “Continuity of care” means knowing enough about a patient’s health and previous illness to provide health care that is appropriate for the patient. To do this, a provider must take into consideration the patient’s medical history, other illness, medications, etc. Having one medical record instead of five facilitates continuity of care. When it comes to your health it’s comforting to know you can turn to people who care. Stevanovic Family Clinic is here to help you and your family through compassion, care and support. Our staff is specially trained to coordinate care, help you manage your benefits and identify any helpful resources. We adapt our services based on your situation. We will assess your needs, recommend a plan of care and discuss it with you, your family and your physician. As your needs change, we will adjust our services accordingly, always providing compassionate care designed to improve your quality of life.